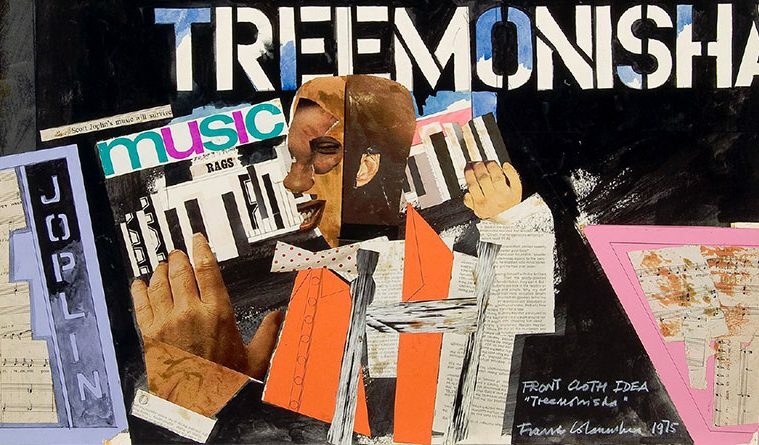 Franco Colavecchia, Front cloth design for Treemonisha, ca. 1974. Collage and watercolor on paper. Gift of the artist. 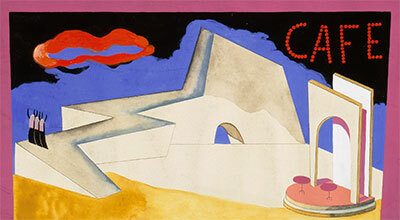 Carlos Merida, Scene design for Carmen, ca. 1944. Gouache and graphite on paper. Gift of the Tobin Endowment. If you were asked to design sets and costumes evoking 16th century Italy, where would you start? The McNay Art Museum’s exhibition Art History Goes to the Theatre: Research Secrets of Great Designers (running through Jan. 31, 2016) gives you some starting points. The San Antonio museum is home to the Tobin Collection of Theatre Arts, the only major theater arts collection in an art museum in the world. Jody L. Blake, curator for the Tobin Collection, explained how Art History Goes to the Theatre came to be. As the exhibition demonstrates, works of art can be essential to how designers and their collaborators envision the worlds they create onstage, shaping the underlying concept of a production. Blake, herself a former professor of art history, explained that art is a useful “cultural shorthand” for directors, writers and scenic and costume designers — a tool as old as theater itself. “Theatrical designs are often influenced by famous works of art you would study in an arts survey course,” Blake said. The McNay’s exhibition includes productions that took their cues from Egyptian pyramids and Greek statues; 19th century French paintings by artists such as Edgar Degas and Claude Monet; work by European surrealist artist Salvador Dalí; and paintings by Americans Georgia O’Keeffe and Romare Bearden, to name a few. Ralph Koltai, Maquette for Die Soldaten (The Soldiers), 1983. Painted plastic with collage, metal and found objects. Gift of the Tobin Endowment. The range is broad — the exhibition covers theatrical works influenced by art from antiquity all the way through today. 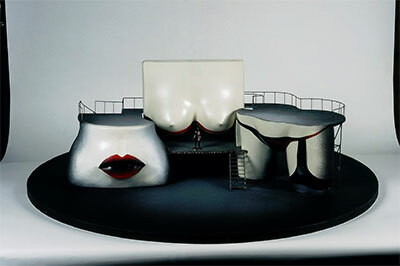 One of Blake’s favorites is a scene design for a 1988 production of Mozart’s Don Giovanni, produced by Pepsico Summerfare at SUNY Purchase in New York. The designer, George Tsypin, based his concept on a Hell scene from a medieval Last Judgment fresco that depicted bodies coming up out of the ground. “It was as though New York had become Hell,” Blake noted of the performance. 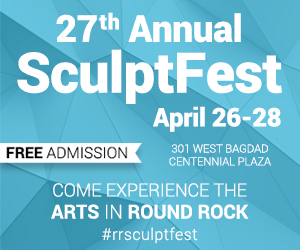 In addition to other operas such as Mozart’s The Magic Flute and The Marriage of Figaro, Rossini’s Zelmira and Offenbach’s The Tales of Hoffmann,several musicals are part of the exhibition. Stephen Sondheim’s Broadway show Sunday in the Park with George (1984), inspired by the Georges Seurat painting A Sunday Afternoon on the Island of La Grande Jatte, is one such musical. On display at the McNay are some of the original costume designs and set models from the production. Likewise, Christopher Wheeldon’s Broadway musical An American in Paris (2014) figures into the exhibition; two scene designs with hand coloring by Adrianne Lobel are on display. Costumes from another dance-heavy musical, Little Dancer (inspired by Degas’ ballerina sculpture Little Dance of Fourteen Years), are also included, courtesy of Washington, D.C.’s Kennedy Center. Then there’s an under-the-highway scene design from Sondheim’s West Side Story (1957) by Oliver Smith.